How does the Lord test the hearts of men? If we assume that the three items are given together in order for us to compare them, then we would conclude furnace and crucible share fire. Then we could also assume that God tests menâ€™s hearts through fire as well. Trials of this life bring to the surface trash that is mixed with the gold and silver of our hearts. It is only under fire that this dross is loosened and able to be taken off the top. It is a process that the Lord uses to sanctify us and give strength to our being. It is when the fire is the hottest that there is the most opportunity to pull the trash from our hearts. 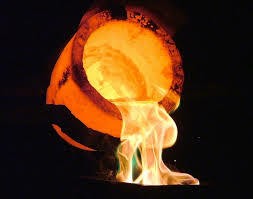 A verse that is similar to Proverbs 17:3 is Proverbs 27:21 and it says, â€œThe crucible is for silver, and the furnace is for gold, and a man is tested by his praise.â€ When we are in the most pain, and the fire burns the brightest, what comes out of our mouths reveals the content of our heart. We all desire for it to be praise. But we wonâ€™t truly know until the fire burns bright. We may curse our Creator, mock Him, question Him, or even run from Him. All these things reveal our weakness and Godâ€™s love to show it to us. When things cool down, we discover that God is still there despite our worst being brought to the surface. The writer of this Proverbs uses gold and silver and relates them to the heart of men. 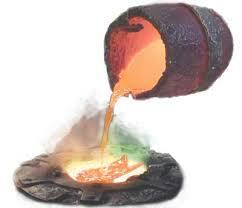 They are very expensive and precious metals. He could have used lead or any other common metal in his illustration, instead he chose to use precious metals. We are precious in His sight and loved by Him enough to be refined. If he did not care for us, he would leave us as we are, wicked and depraved. These tests are not for condemnation, but loving refinement. Fire brings warmth in the cold, it brings light in the darkness, and it brings refinement of the heart. Do not run from your trial today. Instead hold tightly to your Creator, Savoir, and Friend. He desires to do a great work in your heart and with Him beside you you will pass the test.